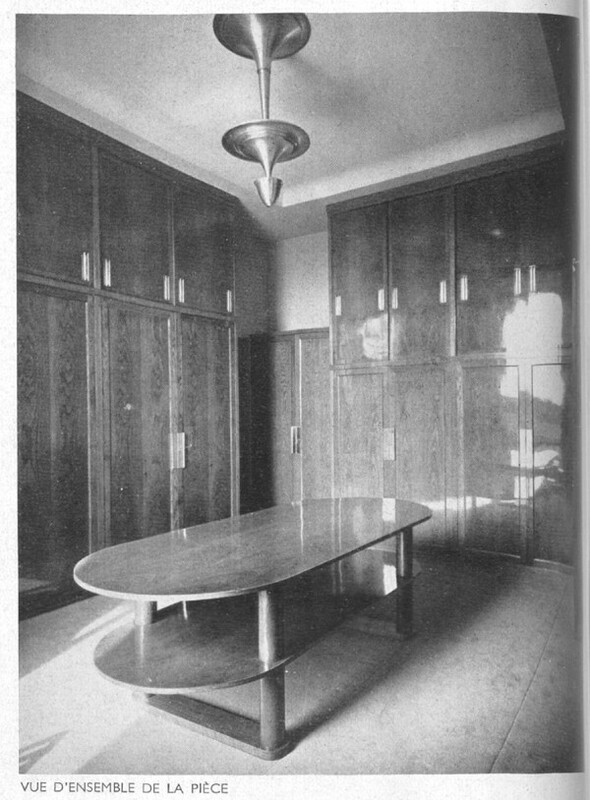 "Eugene Printz (1889–1948) was a French designer best known for his groundbreaking wooden seating furniture and cabinetry. Printz’s work is especially notable for its conflation of precious woods with modular and progressive design aesthetics that were at the forefront of early 20th-century innovation. Born on June 1, 1889 in Paris, France, he developed an interest in furniture from his father, who made a living building antique replicas in a Parisian workshop. The young Printz worked in his father’s studio during his adolescence before gaining widespread acclaim in 1925 at the International Exhibition of Modern Decorative and Industrial Arts with his own original pieces. His Art Deco designs found favor with the European social elite, with notable accomplishments including the furnishing of haute-couture designer Jeanne Lanvin's office and the castle of Grosbois, and today his work can be found in Madonna's New York apartment. Printz died on March 26, 1948 in Paris, France." 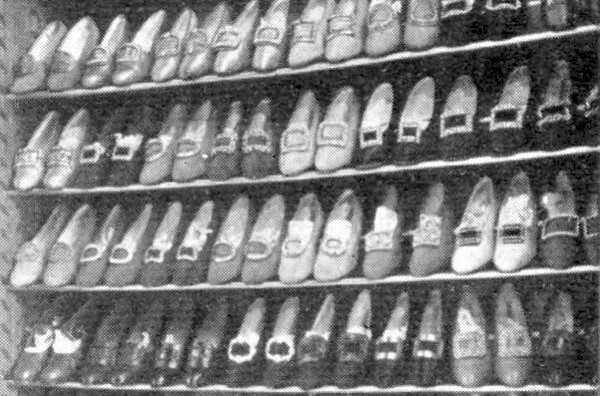 In 1934 Vogue France published an article about the conception of a modern and rational ensemble of wardrobes in chestnut wood by Eugene Printz ("Une superbe penderie"). It was studied for a beautiful property near Paris. The room was completed by a chandelier with two levels and a small table, also with two levels and an oval shape. 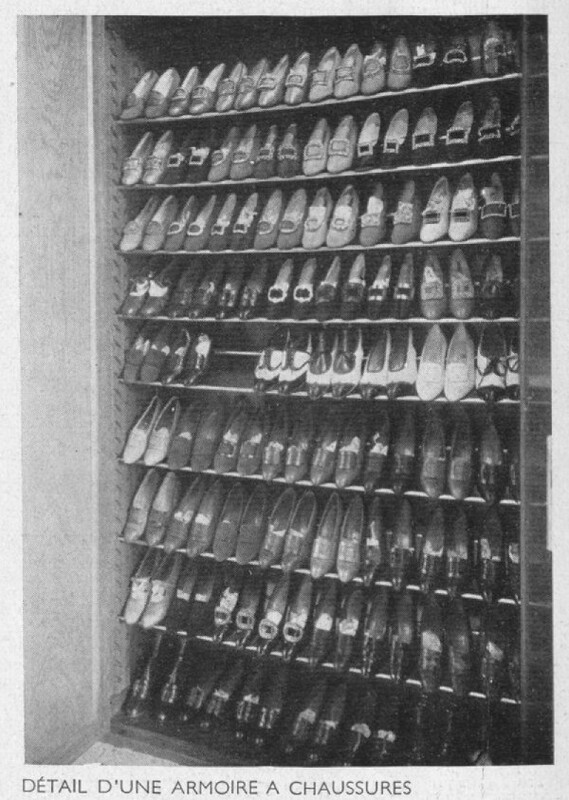 The most interesting part was the shoe rack, containing 72 pairs of shoes, a component still today worthy of the envy of many women.